A revolution in creativity and technology has raised countertops to a new level of prominence in contemporary room design. Whether stone, porcelain or ceramic, the elements of fashion and functionality are served with equal style. And with the skillful touch of our design specialists, every detail contributes to a lasting impression of beauty and statement. From traditional to modern, let us help you create the kitchen or bathroom of your dreams. We offer a full selection of top-quality countertops, and we arrange expert installation from licensed, insured, courteous in-house installers. Our competitive price includes desigslan consultation, site preparation, and installation. Since ceramic tile is man-made it is available in a wide selection of sizes, colors, patterns and finishes. Finishes range from matte to high gloss with some finishes being more suitable for specific areas in the home. 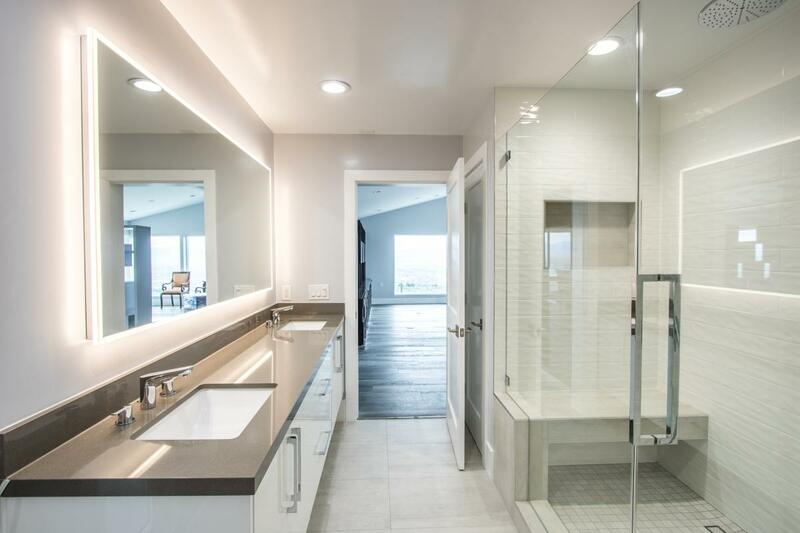 For example, scratches are more noticeable on a high gloss tile making them more suitable for bathrooms, surrounds or back splashes rather than a kitchen countertop. 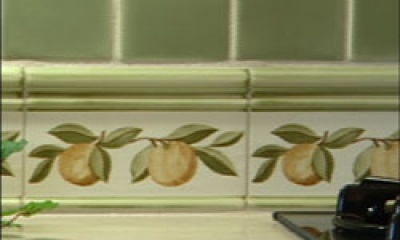 Tiles are either decorated and glazed or are left unglazed. 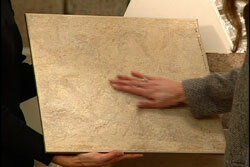 Your Design Consultant will be happy to answer any questions you have on choosing the type tile that’s right for you. The beauty of ceramic tile is the flexibility you have with design options, especially with the use of liners and decorative tiles. 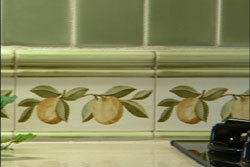 Liners, sometimes called feature strips or decos, can greatly enhance the look of your kitchen or bathroom. They do however sometimes vary in thickness, width, color or dyelot and in some cases, matching trim pieces may not be available. 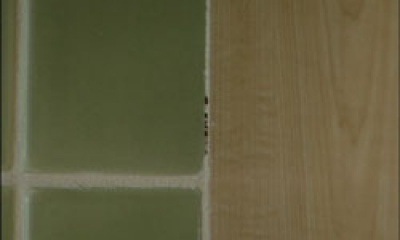 Liners, like trim pieces, with their varying shapes and sizes, will not align perfectly with the field tile, particularly if there are other items to tile around, such as an electrical outlet. Granite – Granite is the number one choice for high use areas, such as a kitchen countertop, because it is extremely dense and durable. Marble – Marble is a crystallized limestone that comes in many different color variations and usually displays a veining pattern that adds to its uniqueness. Marble is more porous than granite, therefore popular for bath applications rather than the more heavily used kitchen areas. Limestone/Travertine – Typically, these stones are honed with the matte finish although some of the harder types can be polished. 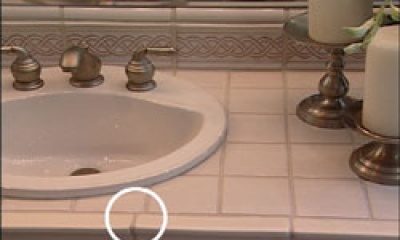 As these stones are even more porous than marble, they may require more preventative maintenance over time. Resists staining and scratching better than any other natural stone. Beautiful in foyers, bathrooms, libraries or kitchens or as an accent with other natural stones. Made up of mainly quartz, feldspar and mica. Mother nature produces a variety of rich colors each with their own distinctive characteristics. A timeless addition to any home, bearing the signs and marks of history from thousands of years. Marble is not recommended for use in kitchens. Marble is very sensitive to acidic chemicals such as citric acids from lemons or limes. 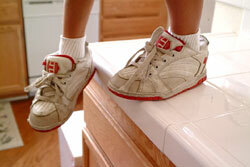 These acids can etch or dull a marble surface creating permanent damage. Colors tend to be softer and more neutral ranging from cream, beige, brown, pale rust and soft blue. Clean and simple in appearance. From the limestone family-so it shares some similar characteristics such as being soft and porous. Comprised of layers of mineral composites that cool and crystallize into travertine. Extremely durable and stain resistant. 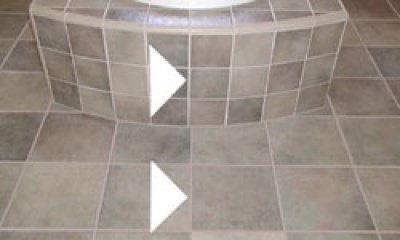 Although slate does not require sealing, the grout surrounding it does. 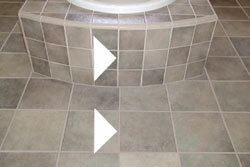 Ask your design consultant about a product that will enhance the slate and seal the grout at the same time. Suitable for both the casual and formal environment. 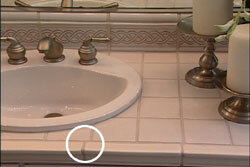 The perfect accent to polished granite, marble or limestone. 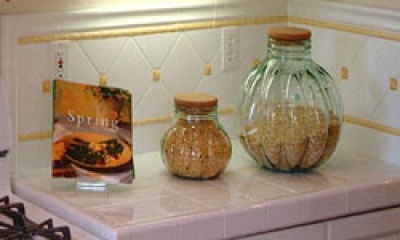 Stunning on countertops, surrounds or as backsplash treatments. 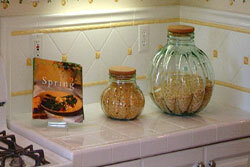 Available in many sizes and are often used in borders or decorative strips. Accent strips, mosaics, chair rails, listellos and smaller sizes such as 1×1, 4×4, 6×6. A polished bull nose edge that has a rounded or curved appearance. A polished straight 90 degree edge. These seams are visible, but are often less noticeable than a typical granite seam – where the seams may show changes in pattern and shade. Natural rock is variable by nature … colors and patterns may shift and change on a large slab. Surface pits are a mark of granite. 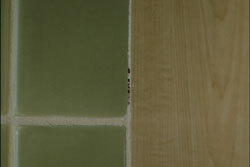 Engineered stone on the otherhand, displays a consistent variability of color and texture throughout a quartz countertop. 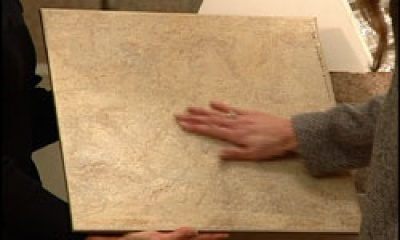 Each slab looks the same, which helps minimize the visible seams in the countertop.